Production AV regularly provide LED screens to sporting events as the inclusion of a big screen benefits the experience of all the people there. We can provide indoor and outdoor LED screen options with fantastic colour reproduction and resolution. We want to work closely with clients to provide the best screen solution that will really increase the engagement of the audience during the event. 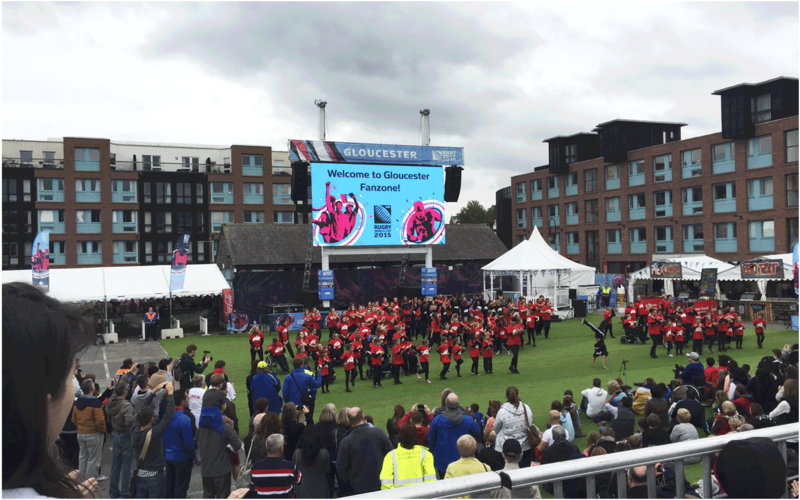 Our high definition, stunning indoor and outdoor LED screen range is a perfect addition to any sporting event. These screens will add a little extra excitement and depth to an already special event. The versatile screens can be built from the ground up or flown above the ground using a truss structure and in our capable hands, they can be rigged quickly and efficiently. Our screen management systems can accept all modern digital video signals including HD-SDI. We also have the capabilities to pip different sources of content over each other which can allow stat graphics, announcements and more to integrated into the live action of the sport. Speak to one of our team to see what solution we can provide for you. If you are interested in reading an in depth and technical explanation of one of our sporting event AV solutions, follow the link below.